An estimated 335 million people living in developing countries have diabetes, but only a fraction have access to the information and care they need to stay healthy. A meeting with an exceptional patient causes one NGO employee to reflect on the importance of access to basic care – and the role of the UN High-Level Meeting on NCDs in making it happen. I’ve met dozens of people with diabetes around the world – it’s one of the absolute privileges of my work with the World Diabetes Foundation. Often, their stories are wrenching – tales of unrecognised symptoms, inaccessible treatment, hopelessness and regret. But every time I think I’ve understood diabetes in the developing world, someone surprises me. One of these surprises was Pepito. I met him in 2015, in the southern Philippines. A lanky, serious man of few words, he told me his story through a translator. He had been diagnosed with diabetes, but had no idea what this meant. One foot wound healed slowly, and another wouldn’t heal at all – instead, it started spreading. Then a village health worker arrived at his door. 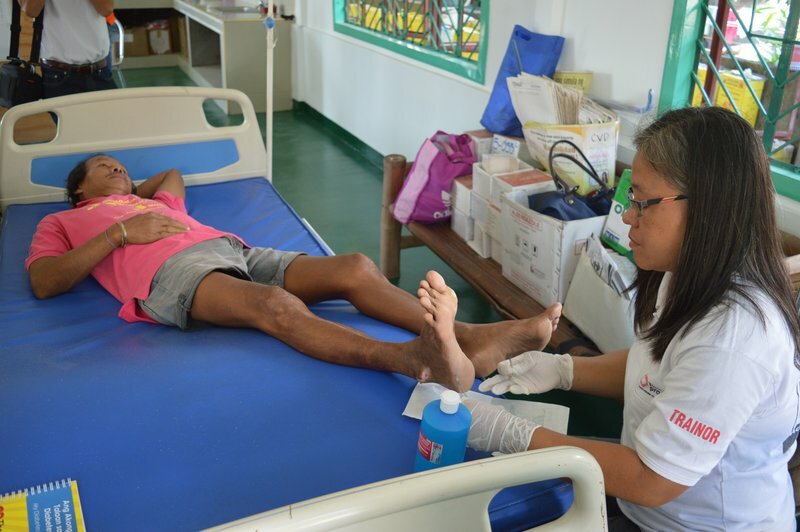 She told him that a local health centre had a new service – staff had been trained to care for diabetic feet, and could teach him how to manage his disease. He went, listened, and changed his life. I think about how hard this must have been: finding the money for healthier foods, the time to return week after week for removal of dead tissue, a way to keep his foot clean while repairing motorbike tyres at work (especially after staff cut a hole in his only pair of flip-flops to release pressure on the wound.) Yet he managed it all, healing his foot and lowering his blood sugar in just a few months. The clinic staff were awed by him. He took this slender opportunity and made the most of it. "I think about how hard this must have been: finding the money for healthier foods, the time to return week after week for removal of dead tissue, a way to keep his foot clean while repairing motorbike tyres at work." That opportunity arrived thanks to a WDF partnership with a local affiliate of Handicap International. It’s one of more than 500 partnership projects that WDF has supported since 2002, and Pepito is one of the more than 7 million people with diabetes who have been directly treated by them. Millions more have learned about the disease through awareness campaigns, and prevention efforts. We and our partners are proud of our projects (which continue long after funding ends), and of the wealth of practical knowledge we’ve collected along the way. Yet Pepito and others touched by these projects are the lucky ones. About 335 million people in low- and middle-income countries have diabetes, according to the International Diabetes Federation. Many live in societies that are ill-equipped to deal with this fast-growing global epidemic. All too many are succumbing to amputation, blindness, heart and kidney disease and early death. These devastating outcomes are preventable – and preventing them is in everyone’s interest. Like many of you, WDF has been active in the lead up to the Third UN High-Level Meeting on NCDs in September, hosting meetings and collecting best practices and recommendations from our skilled partners. But meaningful change will require commitment, dedication and long-term thinking from the highest levels. We hope and expect that governments will take full advantage of the opportunity provided by the UN HLM, and take concrete steps toward meeting their global NCD commitments. Knowing what diabetes is and how to prevent it, and having access to care if it does develop, shouldn’t depend on luck. Gwen Carleton is Communication Manager for the World Diabetes Foundation, where she works to empower governments, civil society and other non-state actors striving to deliver on global diabetes commitments. She has a Master’s degree in journalism. 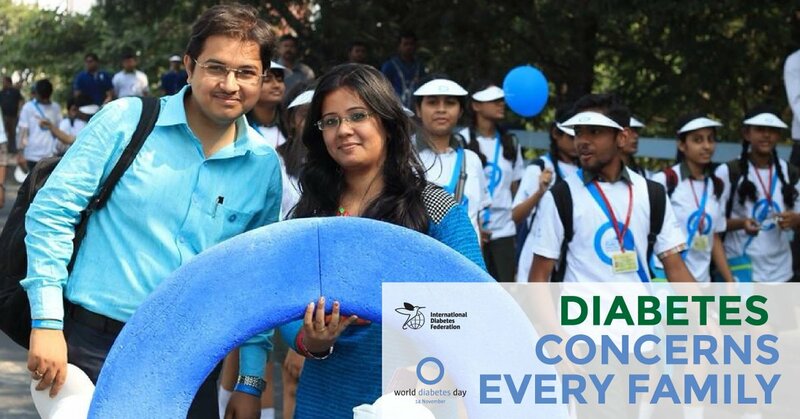 The World Diabetes Foundation is an independent, non-profit foundation based in Denmark. Its vision is to alleviate human suffering related to diabetes and its complications among those least able to withstand the burden of the disease. 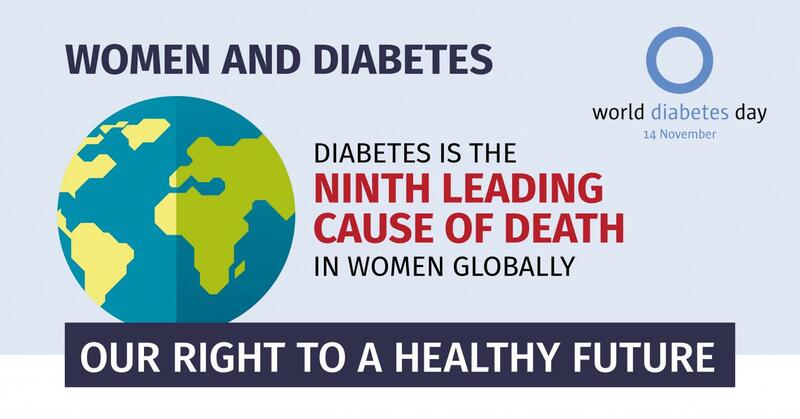 Learn more at worlddiabetesfoundation.org. 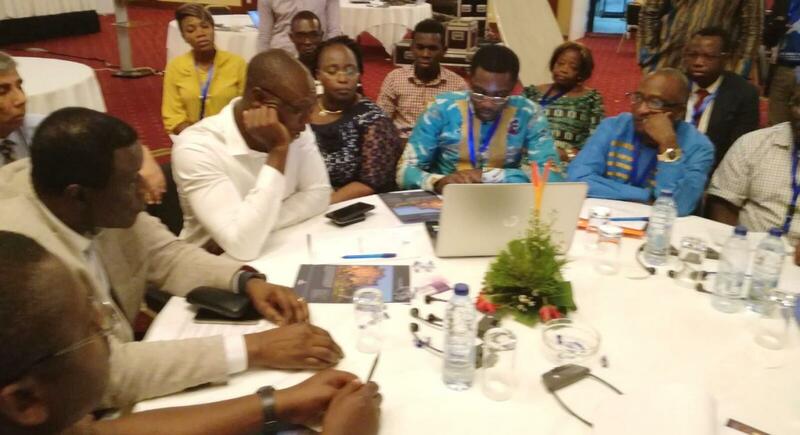 Delegates from across West and Central Africa gathered in Yaoundé, Cameroon, on 2-5 May 2018 to share experiences and urge more action on diabetes and NCDs.